Hirsch and Rösle Friedmann are one of several sets of grandparents to the Jewish community of Themar (see article here). That is, they both lived out their lives in Berkach, but several of their children were parents to the establishment and rapid growth of Themar’s Jewish community after 1860. First, it brings together all the research and information provided by family members of Hirsch & Rosa Friedmann throughout the world — most of them did not know of all the inter-connections until the digital sharing began. To them an enormous Thank You! — of course, the website editor owns all errors. Second, the Nachkommenliste/Descendants List below identifies the connection points between the Friedmann family and other Themar families such as the Gassenheimers and Schlosses — and other branches of the Sachs family (see link at Heinemann/Hedwig Sachs below). Third, it demonstrates the breadth and depth of German Jewish families: if we take the example of one family — the family of Marianne Friedmann and Simon Sachs — we can examine the family’s life in Themar and learn a lot. But when we enlarge the context within which the Friedmann/Sachs family of Themar acted by showing its connections to family members throughout Germany, our knowledge increases by leaps and bounds. 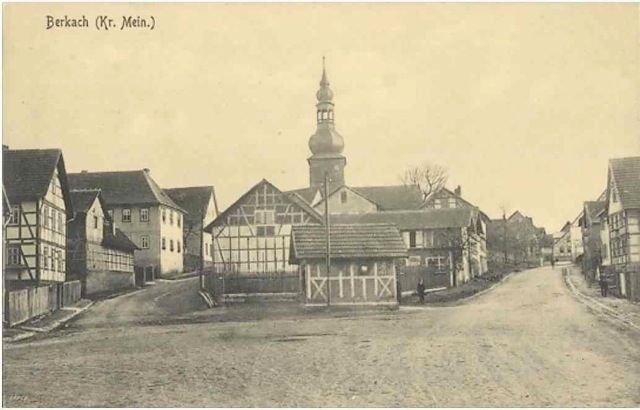 Knowledge about the Friedmann family contributes significantly to our understanding of Jewish communities and families in Germany in the late 1800s. That is, we can see hints of how families — within a context of intense socio-political and economic transformation — considered and planned for the future, made and implemented strategic decisions about how to best benefit from the change swirling around them. And finally, as with all Jewish Germany family histories, the Nachkommenliste/Descendants List tells the dreadful tale of the destruction wreaked by the Holocaust. After the war, members of Hirsch and Rosa’s large family were to be found throughout the world but very few of them were still in Germany. We would like to acknowledge the contributions made by family members Karen Knauf, Shirley Rosen, Sabine Schwab, Robin Cornick, and Anders Svennson. A thank you also to Gundela Bach of Berkach and Elisabeth Böhrer of Sondheim vor der Rhön. Nachkommenliste/Descendants Lists are always a work in progress. The list below represents best knowledge as of 26 October 2015. Online sources are linked to names. Other sources are identified in Notes. Any contributions, comments, and/or corrections are welcome. If you have any information or questions about the Samuel & Jette Baer family, which you would like to share, please contact Sharon Meen @ s.meen79@gmail.com or smeen@mail.ubc.ca. We would be pleased to hear from you. ∞ Friedel HAIMANN, b. 07 May 1903 Stuttgart, d. 03 May 1982 Omaha/Ne. Schwab, Sabine. Lebenslinien. December 2013. Wolf, Siegfried. Juden in Themar 1933-1945: Biographische Daten. 2000. Stolpersteine Hamburg. Stolpersteine in Hamburg. Yad Vashem. Central Database of Shoah Victims’ Names.